How did you get into martial arts? What lead you to creating your own style? When I was young I was extremely small in stature, a perfect target for bullies...then it happened, I was 7 and I watched this little Chinese man beat up people twice his size. Bruce Lee provided hope for me and I begged my parents into letting me take lessons to protect myself. Eventually I enrolled in my first art, Tae Kwon Do. After getting into a street fight I realized TKD's limitations. What I had practiced in the dojo wasn't going to work on the street. So I experimented with many arts and used Bruce Lee's Jeet Kune Do philosophy fused with different styles. Lee was an inspiration but his style of teaching seemed too abstract for the average person. I experimented with different arts and ranges but wanted a more systematic approach. That's how I came up with the Cha Ki Do system. You've been active your whole life, what's your approach to staying fit today? At the moment I'm getting back into shape for some film projects. I lift weights and love Brazilian Jiu-Jitsu. Boxing constitutes much of my current regimen. After countless demonstrations, being featured on television and appearing in numerous publications, what lead you to acting? I never even thought about it, as a matter of fact, I never even did a school play....so acting was far from my mind. One day I was doing a martial arts demo and I decided to do a dive roll over a bunch of swords as the finale. That got the attention of the local newspaper editor who put me on the front page. 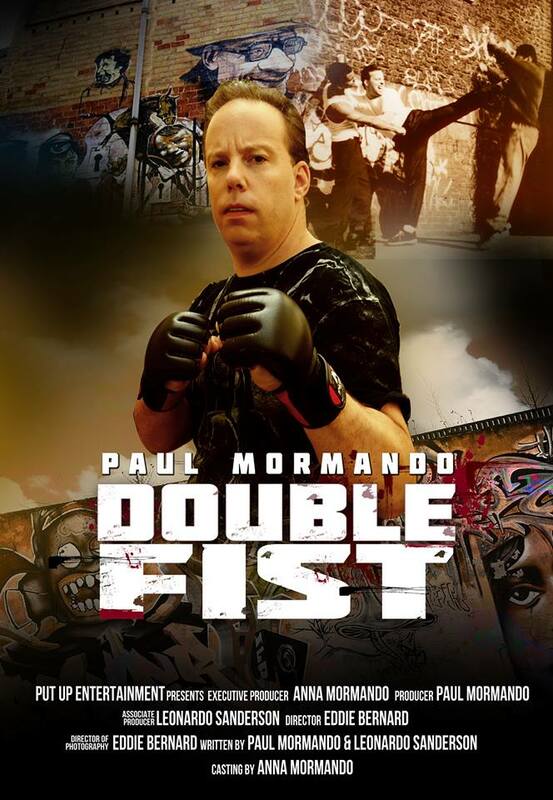 The legendary entertainment agent Ruben Malaret contacted me and wanted to make me the next Chuck Norris. Once I got a taste of the acting bug, I became passionate. Ironically enough I ended up guest starring on Broadway in Tony n' Tina's Wedding. That was a thrill, being the first martial artist on such a big stage. Who are some of your favorite actors? Favorite films? Of course I love Bruce Lee, he is my idol. Jean-Claude Van Damme really inspired and motivated me. His kicking ability is unsurpassed. Jason Statham is really good, great screen presence. My favorite films are Enter the Dragon, the Rocky Franchise and No Retreat, No Surrender. You were involved in a terrible car accident, how did you stay positive and keep moving forward? That was at the beginning of my film career, I had just performed a demo at Shea stadium in front of nearly 20,000 people. And a few nights later it all got taken away from me. I was hit by a drunk driver. As hurt as I was, there were people around me even worse off. That kept me positive. 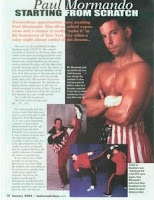 The martial arts taught me discipline and gave me an indomitable spirit that helped me bounce back. During rehab I was inspired by those less fortunate; people who couldn't walk because their legs were amputated. If they can stay positive, I wasn't going to let a few injured disks set me back. What's the key to staying hungry? What's next on your list? I continue to set goals and higher standards for myself. My last goal is to become the next action star. My 7 year old daughter motivates and inspires me. I'm making it happen. Twenty years ago after the accident I thought my career was over. Now I'm booked through 2016. I'll be in Ohio shooting a film with director William Lee, sharing the screen with Mel Novak (Enter the Dragon) and Joe Estevez. I'll play the villain in Andre Joseph's Vendetta Games and then there's sci-fi web series Sons of God with my friend Leonard Sanderson. Many thanks to Mr. Mormando for taking the time to chat with Dammaged Goods. Keep up with Double Fist on Facebook.